CompCare medical scheme options offer a range of products. They are more diverse than those offered by many other medical aid schemes. In general, CompCare medical aid options are ideal for anyone who is committed to health and wellness. We think particularly of sportsmen and sportswomen. Ultimately, the scheme offers six basic CompCare medical aid options that cater for a broad mix of needs for individuals, families, and people from all income groups. Founded more than 30 years ago, CompCare offers “something for everyone”. 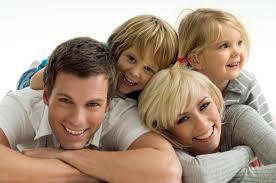 However it is particularly appealing to large families because you only pay for the first three child dependants. Any other children are free. Furthermore, your children retain “child” status until they are 25, just as long as they are bona fide (genuine) students. Other advantages include unlimited benefits for oncology, basic dentistry, Prescribed Minimum Benefits (PMB) in private facilities, and even general practitioners for most of the CompCare medical aid options. There is also cover for optometry and other auxiliary services including physiotherapists, social workers, dieticians and naturopaths. These CompCare medical aid options provide a wide variety of benefits that range from quite basic primary healthcare and straightforward hospital cover, to comprehensive “new generation” options. There are also products that cater for medical savings accounts. CompCare’s elite medical scheme, the Pinnacle offers comprehensive medical cover that incorporates exceptionally good hospital care with top quality day-to-day benefits. The very best of CompCare medical aid options, it combines traditional risk cover with hugely competitive benefits and a savings account. In addition, there are in-hospital benefits and cover for 72 chronic conditions. CompCare’s Dynamix option combines comprehensive medical cover with hospital and day-to-day cover. Traditional risk cover and a medical savings account are included in the scheme. This is one of the top CompCare medical aid options and it also offers cover for chronic conditions and wellness benefits. CompCare’s Symmetry option is less comprehensive than the two previous CompCare medical aid options, but you still get your own choice of private hospital with unlimited cover. Comprehensive day-to-day benefits are also included in this medical scheme, along with traditional risk cover, cover for chronic conditions, and specified wellness benefits. CompCare’s Axis option is a top-end hospital plan within the CompCare medical aid options. It includes post-operative rehabilitation benefits as well as cover for chronic conditions and certain wellness benefits. Like all the other CompCare medical aid options already mentioned, it also offers chronic care cover and wellness benefits. CompCare’s Mumed Option is a really affordable medical aid plan that is geared for young families and individuals who want to be able to visit their own healthcare providers when they need to. It offers a mix of cover that includes in-hospital benefits, cover for chronic conditions, day-to-day benefits, and also a number of wellness benefits. NetworX Option offers amazing value for low-income employees and students, and is the cheapest of all the CompCare medical aid options. This medical plan includes a variety of benefits for in-hospital, day-to-day and wellness. It also has cover for 27 chronic conditions. If you aren’t sure which Compcare medical scheme options to sign up for, contact CompCare or an experienced broker.